Teamsters Local 2010 is pleased to announce the Union Representative – Southern California position to be filled as soon as possible. This position offers a unique opportunity to represent administrative, allied service, or skilled trade workers employed in higher education. The Union is currently seeking to fill one position to support the Southern California-San Diego area. The Union headquarters is located in Oakland with a satellite office in Bellflower, California. This position will report to the Bellflower office. 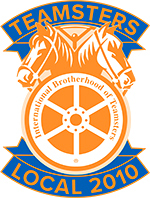 The position will be responsible to represent the interests of Teamsters Local 2010, its officers, members and staff at all times with employers, state federations, area labor councils and central labor councils, affiliates and constituency groups and will report to the Secretary-Treasurer, or designee. The Union Representative – Southern California position will support the campuses, health centers and outlying work areas in San Diego and may support other Southern California locations as needed. Union Representatives are considered ‘at will – exempt’ in that they may supervise and train activists and administrative staff; have access to confidential information; have input to management positions for internal and external union operations; and exercise independent decision making authority. 3 to 5 years of experience representing workers in the labor movement. Experience with public sector bargaining units preferred. Working knowledge of HEERA and PERB desirable. Teamsters Local 2010 offers competitive salary commensurate with work experience. In addition medical, dental, vision, and life insurance will be offered. An auto allowance will be provided. Union Representatives are considered ‘at will – exempt’ in that they may supervise activists and administrative staff; have access to confidential information; have input to management positions for internal and external union operations; and exercise independent decision making authority.